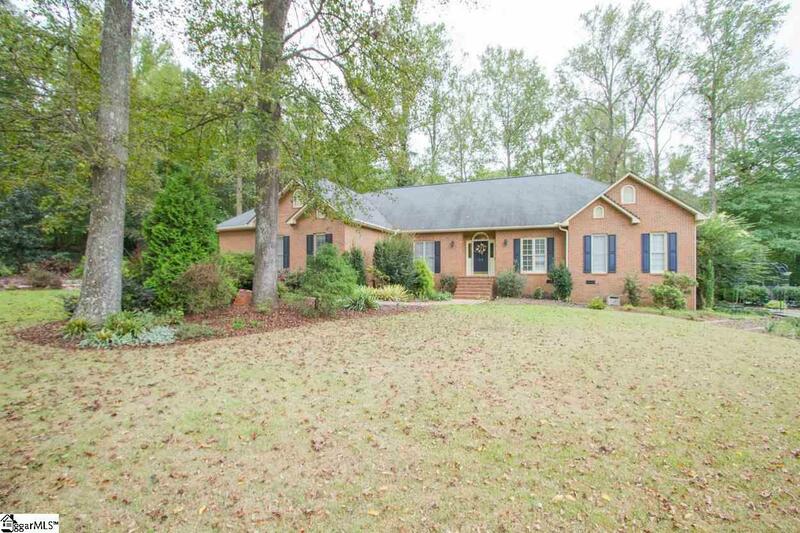 Brick home located in a popular tree lined subdivision in Anderson. So close to schools, healthcare and downtown area. Single level living situated on almost 3/4 acre all surrounded by mature landscaping in a park like setting. Backyard is private w/ both deck and screened porch areas. This property features rooms that are all spacious in size. Entry leads into foyer area with formal dining and office rooms on either side. Large living room w/ fireplace, hardwood flooring and built in book cases. All accessible to screened in porch/deck. Kitchen is finished w/ tile flooring, granite counter tops and eat in area with lovely bay window. Split bedroom floor plan with large bedrooms that share hall bathroom complete with granite countertops and tub/shower. Master bedroom consists of multiple closet areas; both in bedroom and large walk in located in bathroom. Updated bath w/ granite countertops, double sinks, tile flooring and large walk in shower. This home has so much storage space. Garage has workshop area, separate storage room and walk up attic with floored areas.